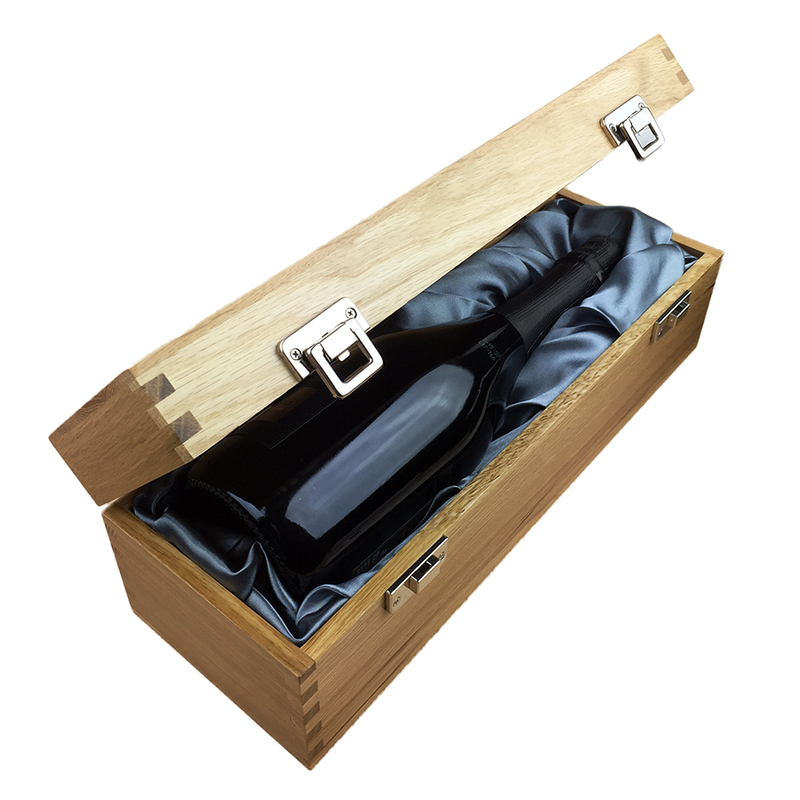 Luxury added to your bottle of Bottega Stardust 75cl with the alluring Oak wooden case with hinged lid. The case is made from Ligh Oak wood, which is beautifully complemented with stainless steel hinges and clasp. This case adds the ultimate luxury to any gift and is delicately lined with silver satin. 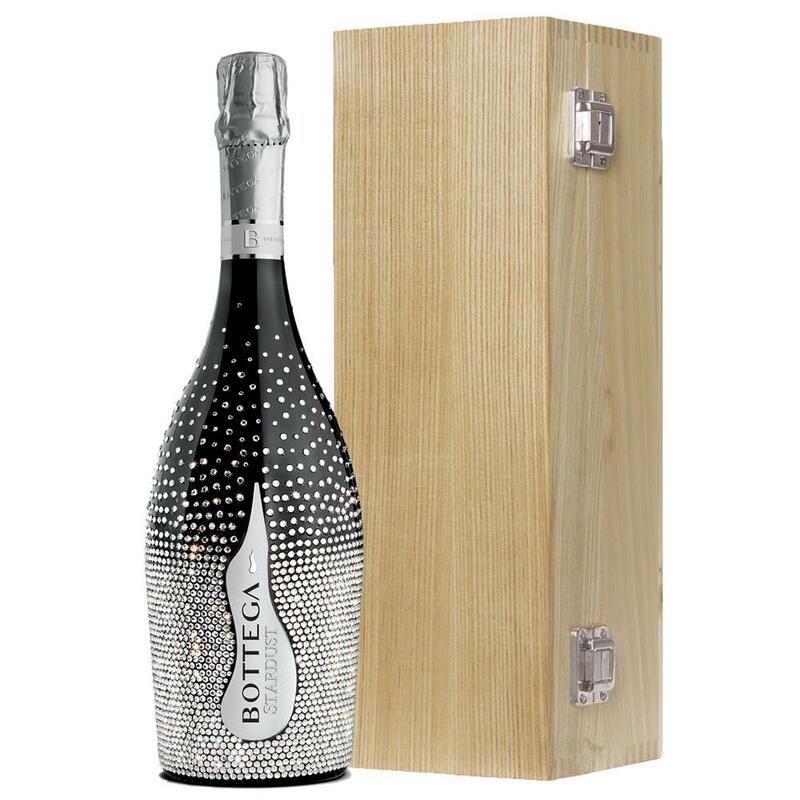 Bottega Prosecco has a fruity nose of Golden Apple and Pears along with flowery scents of Acacia and Lily of the Valley. It is made in Veneto, Italy and is fresh and aromatic. An ideal choice for aperitif, dinners and parties. Put this in a beautiful bottle hand decorated with a constellation of thee thousand tiny crystals and you have a magnificent Prosecco Esperance.